Add your Liverpool Football Club Badge stampette logo to your Facebook and Twitter page and show your support for The Toffees. 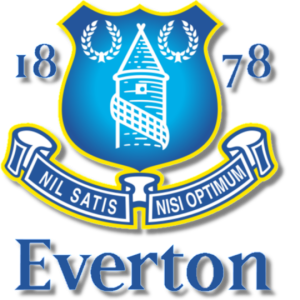 Formed in 1878, Everton were founding members of The Football League in 1888 and won their first league championship two seasons later. Following four league titles and two FA Cup wins, Everton experienced a lull in the immediate post World War Two period until a revival in the 1960s, which saw the club win two league championships and an FA Cup. The 1980s represented their most recent period of success, with two League Championship successes, an FA Cup, and the 1985 European Cup Winners Cup. The club's most recent major trophy was the 1995 FA Cup.